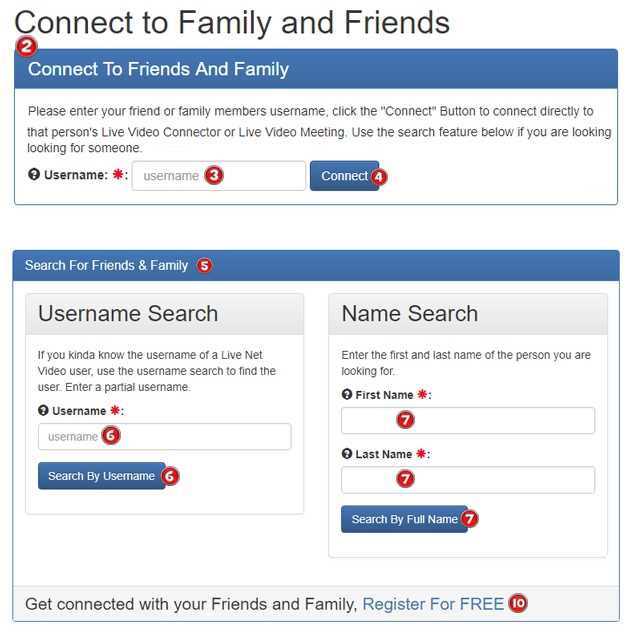 Search for Family and Friends that have the Live Video Connector and connect to them Live with just a click. From the top navigation on the home page, click on the Friends & Family Search Link. 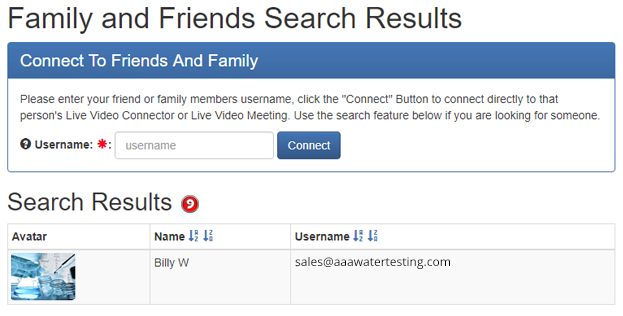 The Connect to Family and Friends screen will open. If you know the user name of the friend or family member, enter it here. Click on the Connect Button to be instantly connected. If you don’t know the username, you can do a search by username, first or last name or email. If you have an idea of the persons username, you can enter a partial name, then click the Search by Username Button. If you don’t know the user name, you can search by name, enter the first and last name, then click the Search by Full Name. 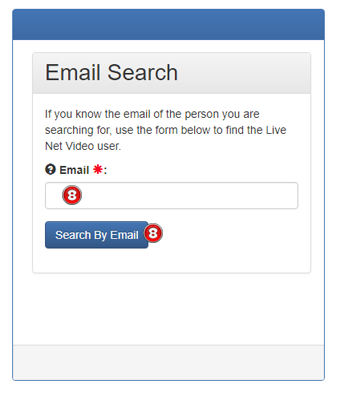 If you know the person’s email address you want to connect to, enter it here, then click the Search by Email Button. The search results will display in a list on the screen. If there are multiple results, all results will be displayed. You can order the list by name or username in asscending or decenting order. If you’re not a registered member, click here to Register Free.